Datawa.re focuses your BI team on business-specific content (source data, business rules, and processes) by reducing the burden of constructing the infrastructure of the warehouse (data loading, transformation process, auditing). The Datawa.re platform accelerates the time-to-value enabling organization to implement data systems more reliably... and respond more quickly when the business environment changes. Datawa.re automates warehouse construction, accelerating the development and implementation, while still retaining flexibility... all while reducing the required resources. Our table-driven approach enables better collaboration across business and BI teams... reducing project cost and risk... and accelerating delivery, and value, to the business. Datawa.re focuses your BI team on business-specific content by reducing the burden of constructing the infrastructure of the warehouse. Datawa.re delivers a better methodology and architecture that enables BI teams to initiate and develop data solutions at a lower cost, while improving responsiveness, supportability and visibility. As an incredibly agile data management solution, Datawa.re enables technology and business leaders to quickly respond to business needs, capitalize on new opportunities, and and effectively manage their data investment. As a result is Datawa.re solutions are better, faster and cheaper... enabling our customers to beat business and technical challenges in less time than ever. What makes that possible? An innovative platform that changes the way our clients think about the process of data warehouse design, development and deployment. 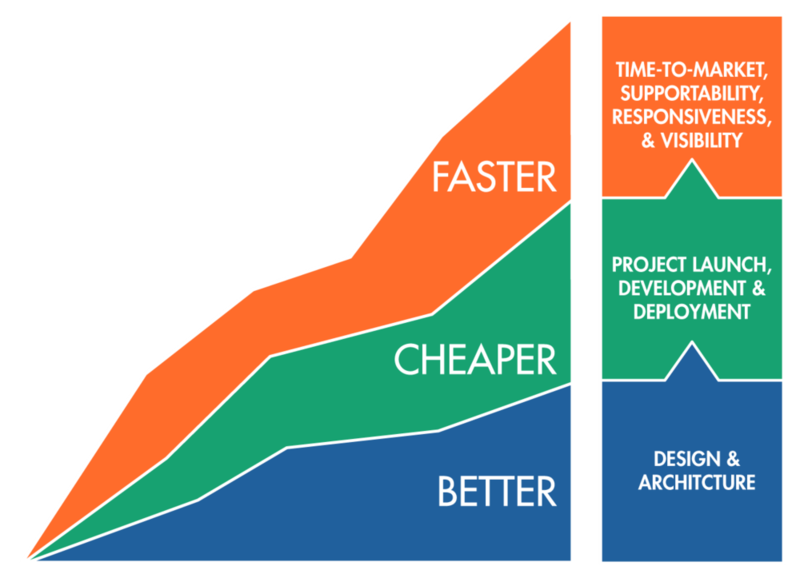 Change the way your work with an approach that is demonstrably Better, Cheaper and Faster. Datawa.re mitigates project risk with a proven collection of database objects and an innovative methodology that streamlines the implementation of changing business requirements, accelerates deliverable and improves on-going supportability. Scope. Datawa.re enables your team to reduce the scope of the development effort by providing a set of native Microsoft SQL Server objects that will serve as the foundation of the solution, refocusing efforts on the more valuable Business Content. Cost. Datawa.re optimizes the hard-dollar investment by optimizing the most expensive resources on your team. The Datawa.re platform enables architects focus on tasks for which they are best suited, data engineers more efficiently manage their role, and subject matter experts participate earlier in the development cycle. Time. Datawa.re shifts the time investment from Construction to Content by delivering a collection of native Microsoft SQL Server objects that redirect time investment away from tasks less-valued by the Business, and toward high-valued Content activities. Datawa.re empowers your BI team to deliver increasingly sophisticated and supportable data solutions using an innovative, table-driven architecture to raise baseline capabilities. As a project resource multiplier, Datawa.re enables BI teams to achieve more, in less time by providing a flexible architecture that delivers a collection of proven database objects. This native Microsoft SQL Server® physical structure serves as the foundation of a warehousing methodology that better manages your specific source data, transformational logic and business rules, centrally creates industry-recognized DataVault and DataWarehouse structures, and dynamically identifies and loads incremental data, in parallel, from one or more data sources. In short, your team can benefit an approach perfected at across many data initiatives at Fortune 1000® organizations and native SQL Server objects that have taken years to develop and refine. And, they can utilize all of it Beginning now. As a project resource multiplier, Datawa.re enables BI teams to achieve more, in less time by providing a flexible architecture that delivers a collection of proven database objects. Datawa.re understand that sometimes it's easier to demonstrate value by simply producing results. Business teams don't know what they don't know, and they need to see, first hand, the possibilities of the data before fully appreciate how to apply it for the greatest impact. This is where the Datawa.re Team can help. Data-driven set of common stored procedures and packages create a foundation for scalable, extensible and supportable Data Warehouse. Centralized configuration parameters streamline and accelerate revisions and updates to ETL variables across the Data Warehouse. Table-driven mapping consolidates the enhancement and extension of the Data Warehouse while maintaining a stable, reliable environment. Unified repository of business logic supports a highly discoverable and supportable foundation for storing and executing processes. Consolidated message and attachment definitions alert and inform users of planned and unplanned events occurring in the Data Warehouse. Let's Get Started. Send us a quick note, and we'll have a member of the Datawa.re Team contact you. Datawa.re is exclusively focused on your team's success. Contact a member of the Datawa.re Team at getstarted@dataware.com or 1.844.313.5200. 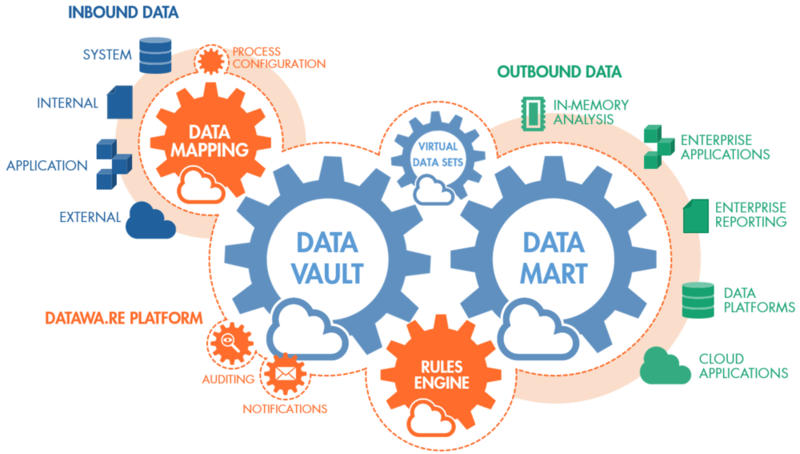 And, Download our Winter 2016 Overview on the Datawa.re Dynamic Data Management Platform. Don't wait. You're just about to find out how quickly Datawa.re can transform the way you design, develop and support your next data initiative. Let us help you get started with a quick conversation. Complete the form below, and we'll have a member of our team contact you to schedule a brief 20 minute discussion.